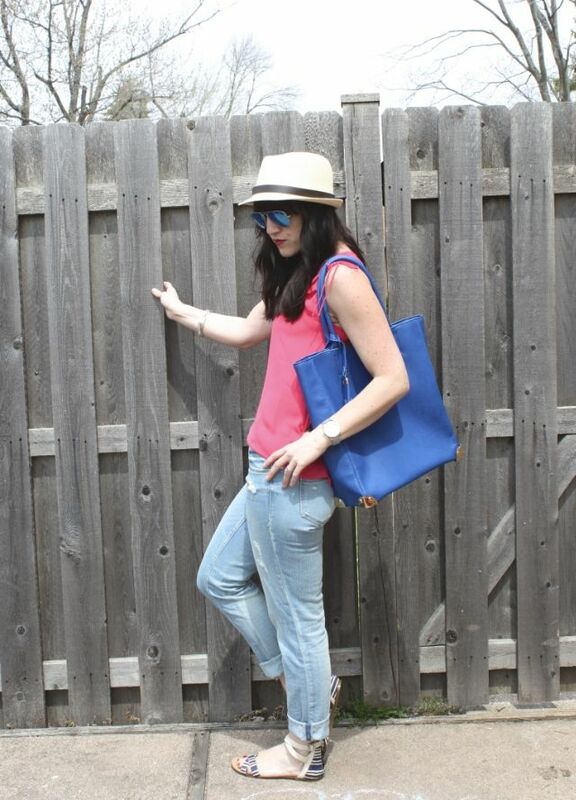 I love wearing light denim in the spring. I bought these boyfriend jeans back in December when Express had their 50% off sale and couldn't be happier to finally be wearing them! 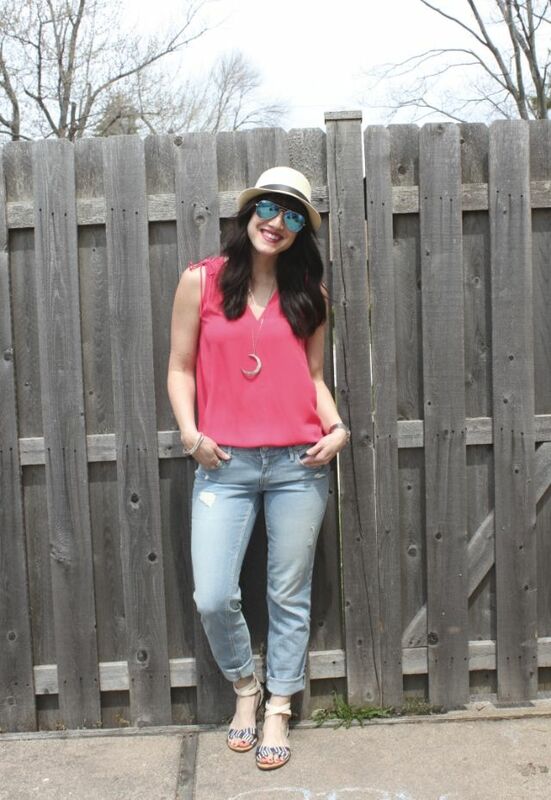 Nothing says spring to me like light denim, cute sandals, a bright colored blouse, and a great hat! 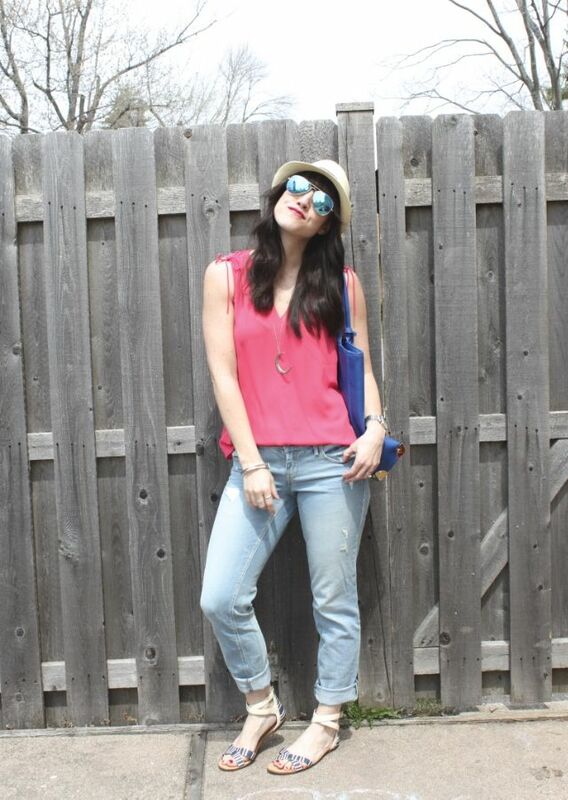 How do you style your denim in spring? Thanks again for joining us in the challenge! 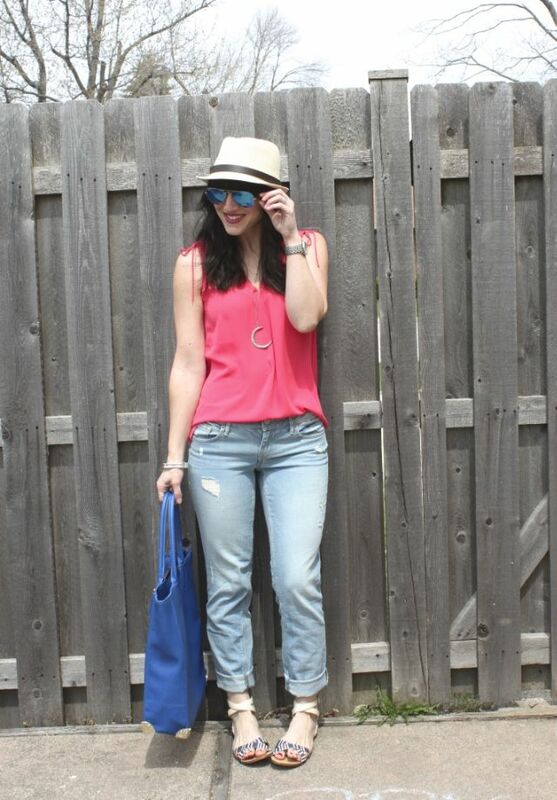 We love your casual, cool look! 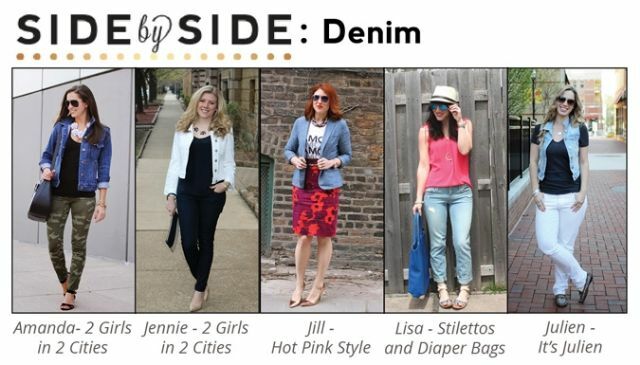 I love your jeans- they look perfectly worn in!